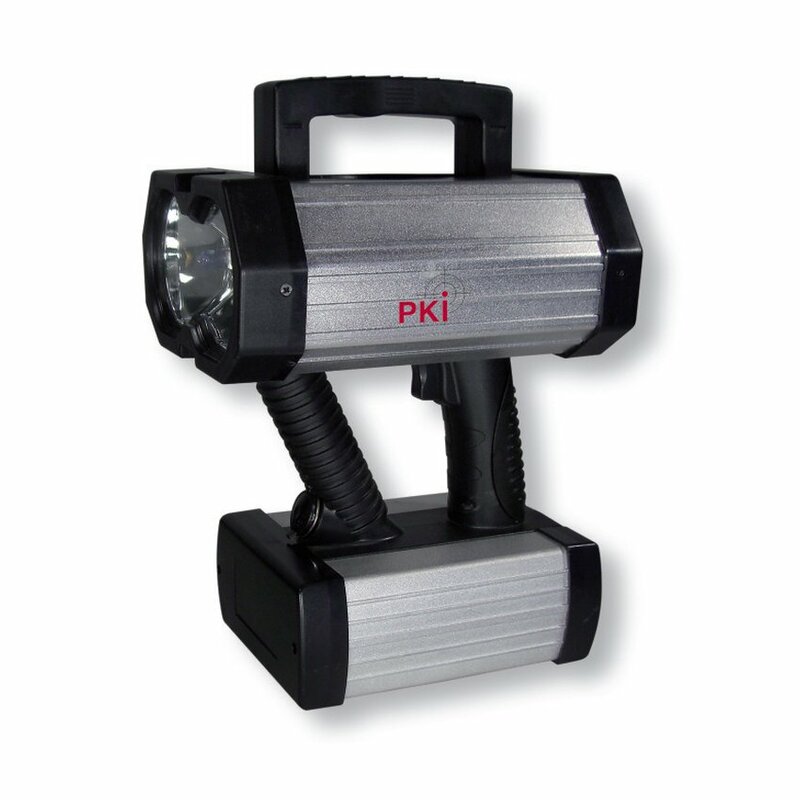 The blinding of persons with our PKI 8115 flashcanon in closed rooms is used during interventions demanding a quick but temporary inability of the target person to react. The respective target area is lighted several times with an extremely bright strobe light which completely disables the persons in the target area. The persons thus blinded are disoriented for a short time and the intervention of the task forces can be started. Special electronics trigger several flashes within a very short time in order to create the greatest possible blinding effect. Compact dimensions as well as its quick operational readiness are only some reasons why this flashcanon is a must for any command unit. Repeat flash: within 5 sec. Opening angle / lighting: max. 175°. As a result of reflections, areas further away are also reached. Power supply: rechargeable Li-ion battery pack incl. battery charger.